w power lights. We’re talking about seedlings, clones, herbs, chili’s: plants than need around less than 100w’s of power to survive. Modular LED’s are LED lights that have individual diodes or diode clusters that run off of a ballast somewhere inside the light. We recommend them for fruiting plants and dwarf trees. Depending on the wattage of diodes you get- and these are pretty much the only type of LED’s you can choose the wattage of each diode- you may need to hang your lights further away from your plants than with other LED’s. 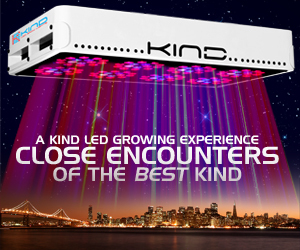 COB LED’s have a cluster of chips that run directly off of a circuit board, instead of off wires, chipcoards, and ballasts like DIP’s and modular’s do. Fruiting plants and trees will do well under these lights, but spices, chili’s, herbs, clones, and seedlings may want to avoid direct coverage under these lights.